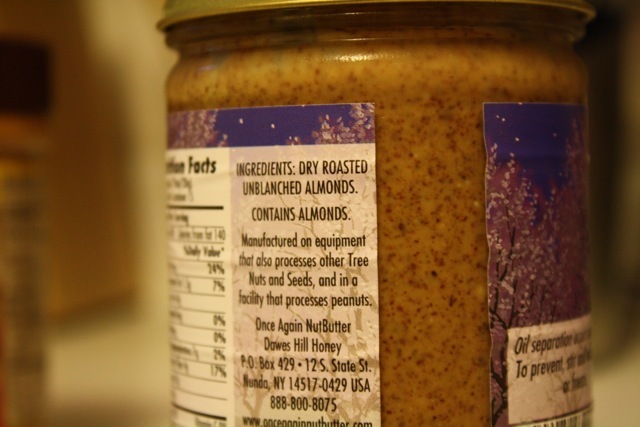 I’m Nuts about Nut Butter! I’m pretty much obsessed with nut butter. I put a small spoon of nut butter in my yogurt or oatmeal just about every weekday morning. If I don’t include nut butter in my breakfast, it becomes part of a snack, usually paired with fruits or veggies. 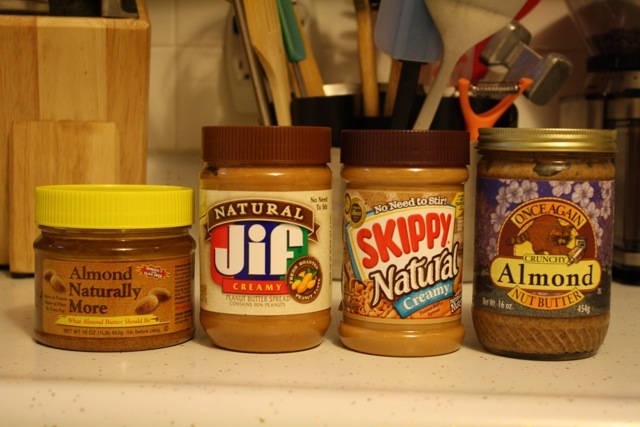 Having become a nut butter connoisseur, I’m eager to share my findings and I think this post is long overdue. I grew up loving peanut butter – on bananas, in my cereal, on sandwiches (with honey, not gloppy grape jelly), and on banana bread. Although my family occasionally bought the typical PB that is trans-fat laden, my brilliant scientist grandfather suspected something wasn’t right with trans-fats long before the rest of the scientific community caught on and he ordered natural peanut butter by the case from a specialty store in New York from the 1950s until the natural version of PB became available in Publix in the late 1980s/early 1990s. Seriously, my grandfather is brilliant. He once drew out the chemical structure of oil and explained to me in chemical terms exactly what happens when oil is hydrogenated or partially hydrogenated. Not something we should be putting in our bodies . . . not that I’m perfect when it comes to avoiding processed foods. Just saying that I’m trying and natural peanut butter is one small step in the right direction. 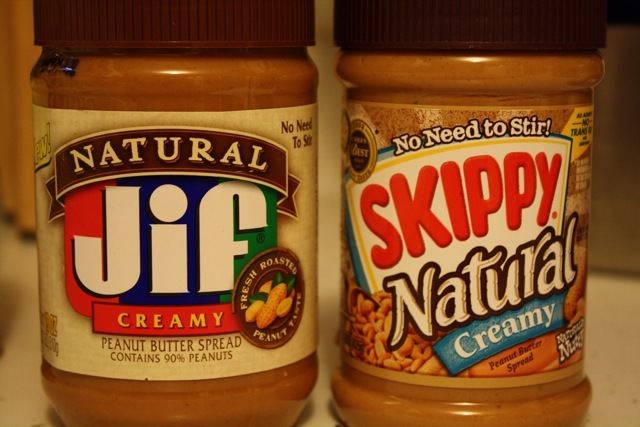 Many people are turned off by natural peanut butter because of the layer of oil that forms at the top (it’s natural and it comes from the nuts themselves) but once you give the nut butter a good stir, you can solve the separation problem by keeping the nut butter in the refrigerator. No-Stir Natural Butters: Pictured below and also including MaraNatha No-Stir Almond Butter. Sounds promising and there is a really good flavor and texture (part of that comes from added sugar and salt). Plus, the added benefit of not having to distribute the layer of oil or store the nut butter in the refrigerator. 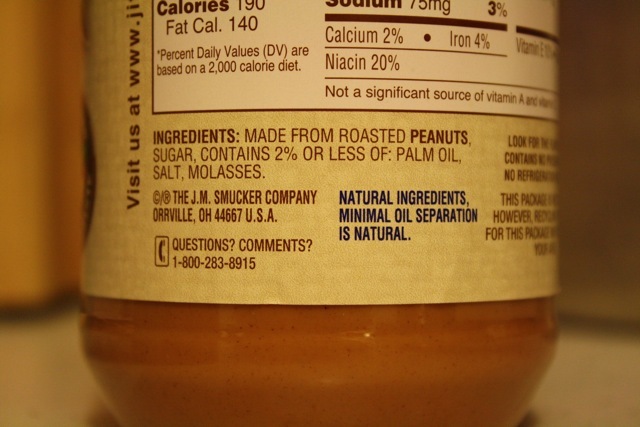 However, a closer look at the ingredients reveals a deal breaker: palm oil! While there is some controversy surrounding palm oil, especially given the prevalence of palm oil in the diets of persons in developing countries, the World Health Organization and the Mayo Clinic, among others, recommend avoiding palm-kernel oils. However, I keep a jar of no-stir peanut butter on hand because it lasts longer than other nut butters and an occasional serving isn’t going to kill me. Plus, the plastic jar is a benefit when traveling. Almond Naturally More: This is just gross. I can’t bring myself to open it. 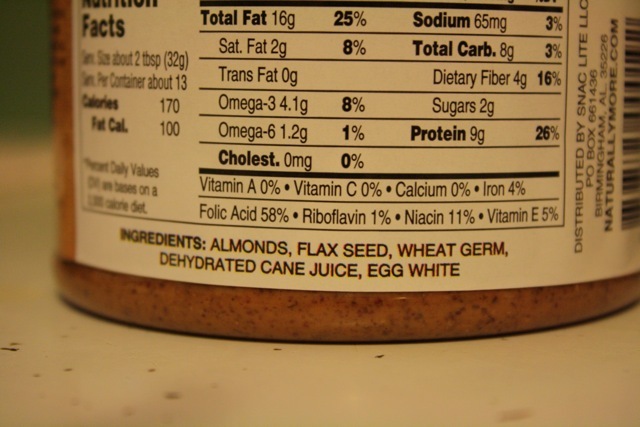 I refuse to eat any nut butter where the ingredient list includes egg white. I probably should have read the ingredient list more carefully before I purchased this. 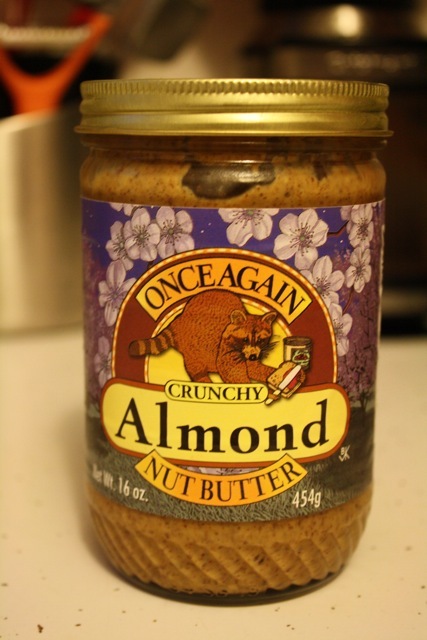 Once Again Crunch Almond Butter: Perfect texture. Perfect ingredient list. Perfect flavor. Perfect texture. Perfect. A fabulous New Leaf Market find. Love this on sandwiches, in baked goods (Artie makes the most amazing banana bread-almond butter muffins), in oatmeal, and with yogurt (see my recipe for breakfast parfait in this post). The price is well worth the peace of mind that I am only putting the best, most natural ingredients in my body. 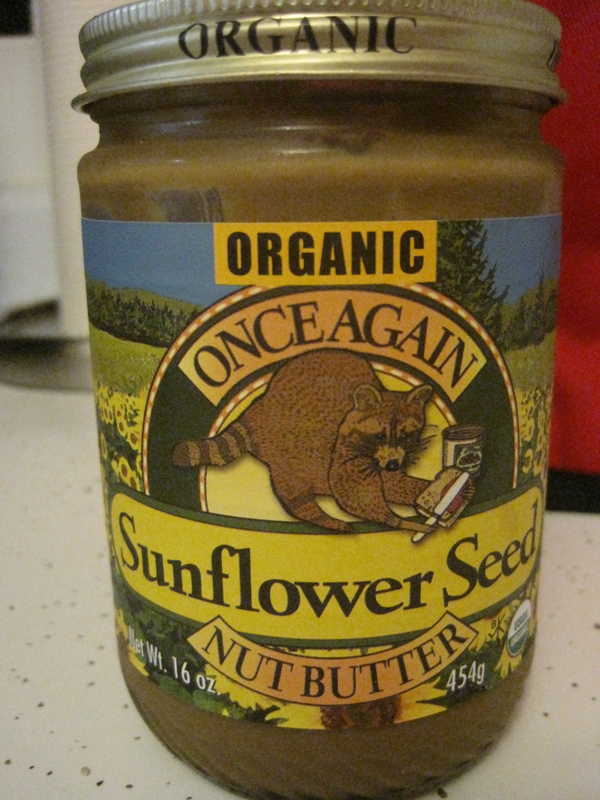 Once Again Sunflower Seed Butter: My most recent love and another winner! This recent New Leaf find combines everything I love about Once Again Almond Butter with a unique, sweet flavor and an incredibly smooth texture. 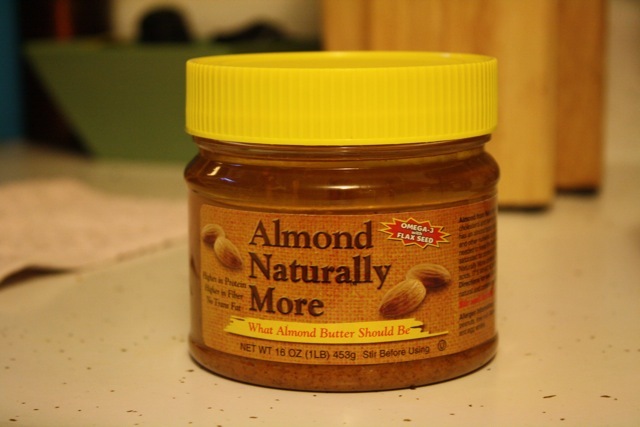 Plus, it is about $2 cheaper per jar than almond butter and has fewer calories per serving. I would recommend this for sure! Whenever I’m at New Leaf, I check out the nut butter section and I’m looking forward to trying other nut butters, including Cashew Butter and Maple Almond Butter, in the future.